Leave a comment on Meet-Up, Y’all! 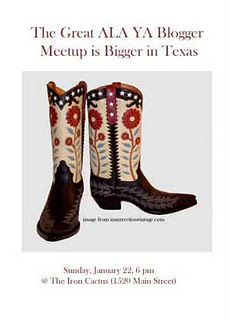 Have you heard about the YA Blogger Meet-Up in Dallas next month? The nice folks over at Stacked have set it up for the Sunday night of ALA Midwinter.